Terrence Moore is a renowned photographer whose work has appeared in Smithsonian, the New York Times Magazine, and elsewhere. Michael Wallis is Pulitzer- and National Book Award-nominated chronicler of the West and American history whose 18 books include Route 66: The Mother Road and The Best Land Under Heaven: The Donner Party in the Age of Manifest Destiny. He is the recipient of the John Steinbeck Award and the Will Rogers Spirit Award. 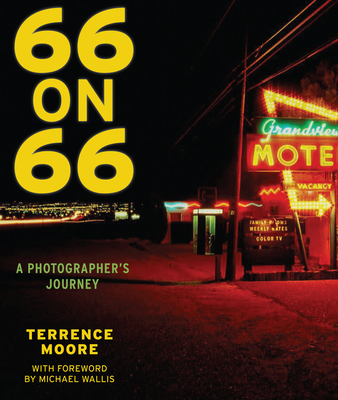 Article on 66 On 66 in The Detroit News.